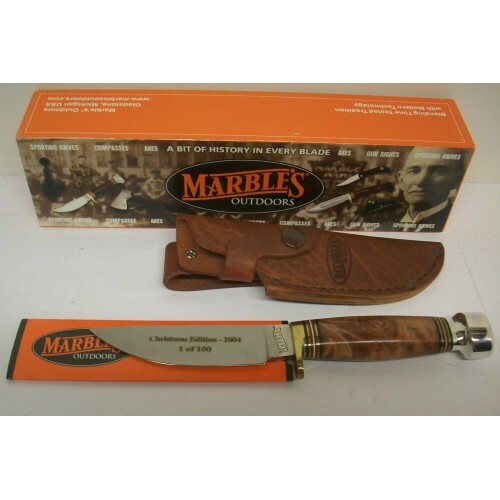 This Marble's Plainsman sheath knife has a Burled Maple handle, aluminum pomel, brass guard and a 3 3/4" blade. 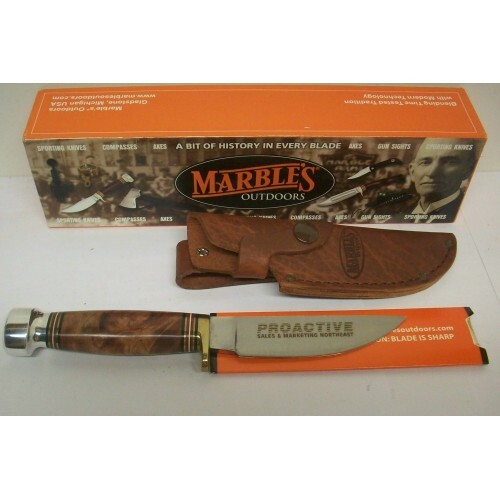 The blade is stamped "MARBLE'S" on the left side along with "Christmas Edition - 2004 / 1 of 100" on the blade section and "Proactive / Sales & Marketing Northeast" on the right side of the blade. 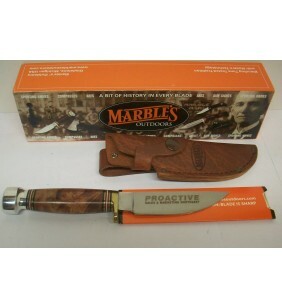 The knife is in as new condition having the factory brown leather sheath, two piece cardboard box and blade protector. A great candidate for the newer collector or sportsman that demands quality.